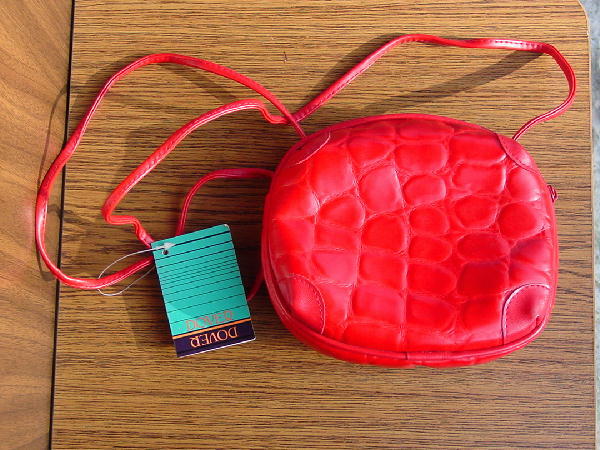 This red purse has an embossed crocodile pattern and a 51" shoulder strap. It has a top center zipper opening. The purse has not been worn, and the tag is still on. A model bought it in Key Largo, Florida while on a location photo shoot.